Officials say homicides show just one part of the picture. This week Philadelphia surpassed Chicago in the number of murders so far this year. Sixty three people have been killed in Philadelphia so far this year compared to 54 in Chicago. The mother of three boys who were murdered is speaking out about the violence. 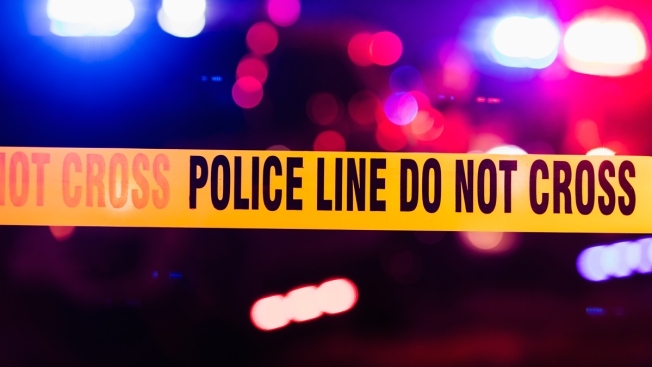 Editor's Note: This story has been updated to include the most recent homicide figures as of Wednesday, March 20, 2019. Homicides in Philadelphia are up once again. But overall violent crime is down -- and city officials say that shows the city is actually safer. As of Wednesday, there were 68 reported homicides in Philadelphia this year, seven more than at this time in 2018 and up about 19 percent from this time in 2016. The city is now on track to exceed the 351 homicides that happened last year — which was more than a decade-long high. The rise has been largely attributed by various city officials, including Mayor Jim Kenney, to drug-related crimes as the city grapples with the opioid epidemic. Critics, however, blame Kenney and reform-focused District Attorney Larry Krasner for enacting policies that they say contribute to a more dangerous city. In February, U.S. Attorney William McSwain singled out Krasner and his policies as contributing to the rise. "You cannot ignore the correlation," he said. Despite the increased homicides, the total number of violent crimes has steadily decreased in recent years, according to Philadelphia Police Department data. Last year, the total number of violent crimes was down 5 percent from the year prior, and 2017's overall violent crime rate was 3 percent lower than in 2016. District Attorney Spokesman Ben Waxman says those numbers suggest that despite the current homicide rate, the city is actually safer under Krasner's policies. "We wouldn't be doing the things that we're doing if we didn't think that they made the city as a whole safer and a better place for everybody," Waxman said. Some of what the district attorney's office is doing includes shorter sentences, cash bail reform for lower-level crimes and investigating nonfatal shootings within the office's homicide unit. The goal is to head off homicides before they happen. "The key is to try to intervene in people's lives before they start escalating into really serious criminal behavior," Waxman said. Guns do play an outsize role in the city's slayings. Of the 63 homicides this year, 55 involved guns, according to PPD numbers. And a big problem remains unsolved slayings; the homicide clearance rate sits just above 61 percent, Philadelphia Police data shows. Kenney cautioned that the gun violence prevention plan he announced in January is in its nascent stages and could yet yield positive results. "I don't think you can judge the numbers at this point. Yeah, they're up and they're troubling, but I don't think you can judge it for a whole year," he said. "We have to wait and see how our plans and efforts reduce it, if possible."